It’s a horrifying death-crash video that lawyers for a Brooklyn hospital are desperately trying to keep a jury from seeing. 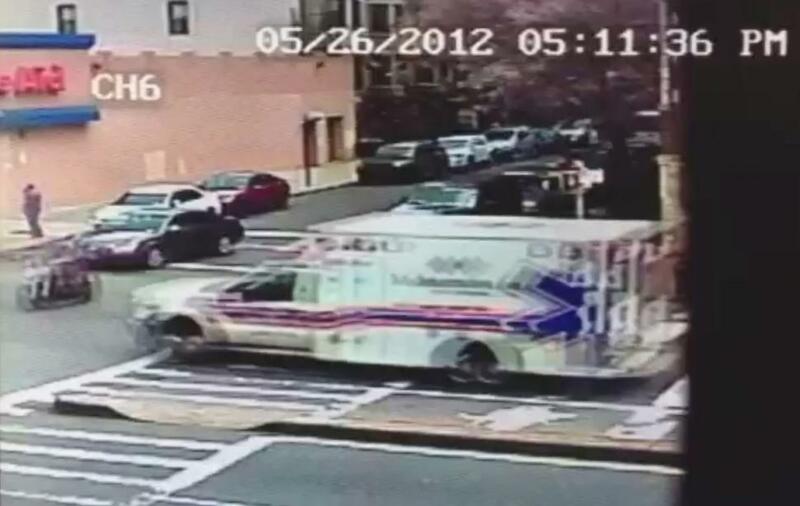 The extremely disturbing video, recorded by a security camera, appears to demolish the claims by Maimonides Medical Center medics that their ambulance came to a full stop at least three times before blowing a red light and mowing down a motorcyclist, the Daily News has learned. Jesus Santiago, 46, a married father of two children, died roughly two hours after his impact with the ambulance of multiple blunt impact injuries, according to his autopsy.